Bloomsbury USA Childrens, 9781599907895, 240pp. Molly and her family have moved around for years. 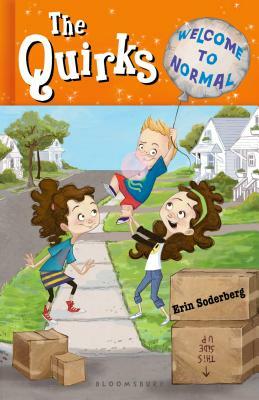 Every time they think they've found a home, one of the Quirks slips up and sends them packing -- because the Quirk family is a bit, well, quirky. Each family member has a magical power that makes them unique, and highly unusual. Mom can control minds; Grandpa twists time; Molly's twin sister Penelope has an all-too-real imagination; and Finn is the pesky kid brother -- who happens to be invisible. Then there's Molly, the most unusual Quirk of all. Molly is completely, utterly normal.